Just counted. Over 70 instances of “clear” in my thesis so far… ouch! Add to that about 20 obviouses. Side note: we should replace the phrase “Word.” with “Integer.”. It’s clear. 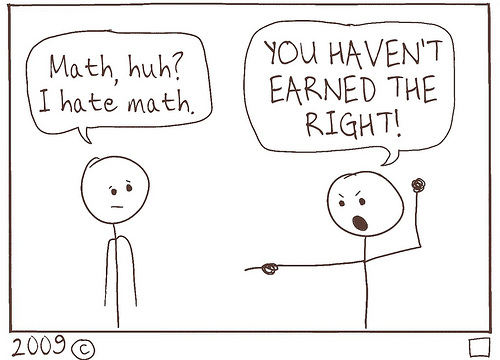 @MariaDroujkova I agree that many people are scared off math. That’s why I keep some copies of Flatland in my backpack. It’s not the mellowest read, but it inspires a lot of mathematical curiosity! The best thing is when people who dislike math finally take a proof-based course and love it.